In an interview with Vanity Fair, Michelle Williams said she had married songwriter Phil Elverum in a secret ceremony in the Adirondack Mountains. Michelle Williams has kept a relatively low profile since the passing of her first husband, Heath Ledger. We are so happy to see the actress coming public with her new love and we wish them nothing but happiness! These two actors fell in love while co-starring on the TV show revenge, and were rumored to be dating as far back as 2012. 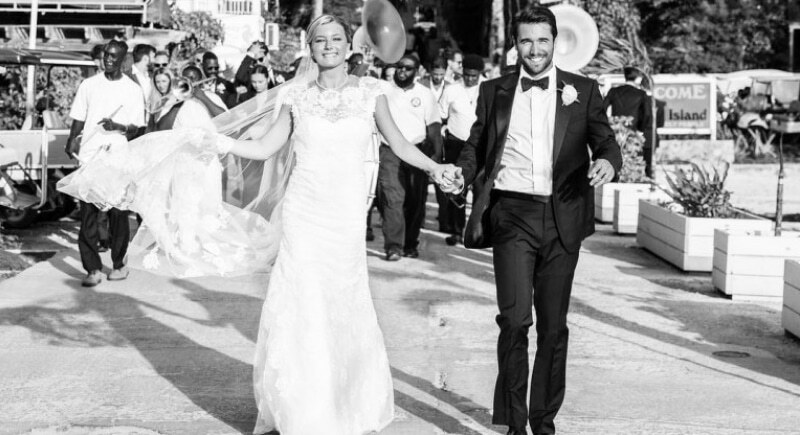 Unlike their dramatic and very public television wedding, in real life this gorgeous couple choose to tie the knot out of the public eye, in Harbour Island in the Bahamas. It’s not everyday that an on-screen couple becomes the real deal in real life, and we’re totally smitten!